These alternative carriers offer the cheapest cell phone plans you can get today. When choosing a wireless carrier, most Americans just go with AT&T, Sprint, T-Mobile, or Verizon. But the reluctance to look beyond the big four, to an alternative carrier, could be costing you serious money. An array of lesser-known carriers in the U.S. use the same networks as the big companies yet offer heavy discounts on your monthly bill—with no contracts. These mobile virtual network operators (MVNOs) piggyback on the major carriers’ networks and provide almost identical service. Note: Most of these options rely on either T-Mobile or Sprint’s network for service. If you get better reception with AT&T or Verizon, you’ll want to look over the detailed list below. The discounts are pretty steep: Light users can pay as little as $5 per month—or even less, if you don’t need a recurring monthly plan. Plans with unlimited data are as low as $50 per month for a single line, and as low as $25 per month, per line for a group plan with four lines. The field of choices expands every year, too. So many MVNOs currently exist that when we went digging for those with the best plans, we found 12 alternative carriers well-worth a look, plus two bonus options. And don’t worry—it doesn’t matter if it’s AT&T, Verizon, T-Mobile, or Sprint towers that best serve your area. All four networks are all represented in our list, so there’s something for everyone. As MetroPCS is to T-Mobile, Cricket Wireless is to AT&T. This subsidiary has a wide variety of plans that starts at $25 for unlimited talk and text but no data. Add an extra $5 and you get 2GB of data. Cricket also offers tethering if you have an unlimited monthly plan and pay the extra $10 per month for the Mobile Hotspot feature. All data usage is capped at a speed of 8Mbps. One distinguishing feature of Cricket’s plans is its discounts for autopay and for multiple lines. Autopay nets a $5 credit per month, while group discounts start at $10 for the first line and then jumps to $20 per line for the third through fifth persons on the plan. Autopay and group discounts cannot be combined. Cricket also offers restricted domestic roaming, and international roaming in Mexico and Canada. The latter is available only if you have the $55-per-month plan or greater. Owned by T-Mobile, MetroPCS offers standard prepaid packages similar to the mainstream carriers. You can still save some money, however, as MetroPCS offers unlimited talk and text along with 2GB of LTE data for $30 per month. Any data usage after that is offered at slower network speeds. Plans with 5GB of LTE and unlimited LTE cost $40 and $50 per month, respectively. There’s also a $60 plan that offers similar features to the $50 plan but includes 10GB of dedicated hotspot tethering. MetroPCS’s group plans offer aggressive discounts: As of this writing, the current promotion is four lines with unlimited data for $100 per month. MetroPCS supports domestic roaming but at a cost, while international roaming is also supported in 21 countries at this writing. If you don’t bring your own phone, MetroPCS offers a variety of devices for purchase. There don’t appear to be any financing options, but many of the lower-tier phones have discounts available through rebates and other special offers. As MetroPCS is part of the T-Mobile family, it offers a few perks similar to its parent company. The $30 plan, for example, offers Data Maximizer that scales down video streaming to “DVD quality” to save on data usage. The $40 and up plans also offer Music Unlimited allowing you to stream music from a variety of services without it counting against your data limit. Mint SIM is becoming a popular choice among MVNOs. The company sells its services in blocks of three, six, and 12 months. The plans all include unlimited talk, text, and 2G data, and the choice of 2GB, 5GB, or 10GB of LTE data. Currently, the three-month plans have been discounted to the 12-month plans’ rates as a teaser offer, making them a better deal than the six-month plans. Mint SIM doesn’t offer domestic roaming, but it does have international roaming plans. It offers a flat rate of five cents per outbound text (inbound are free) and 25 cents per minute for voice calls in nearly 150 countries. 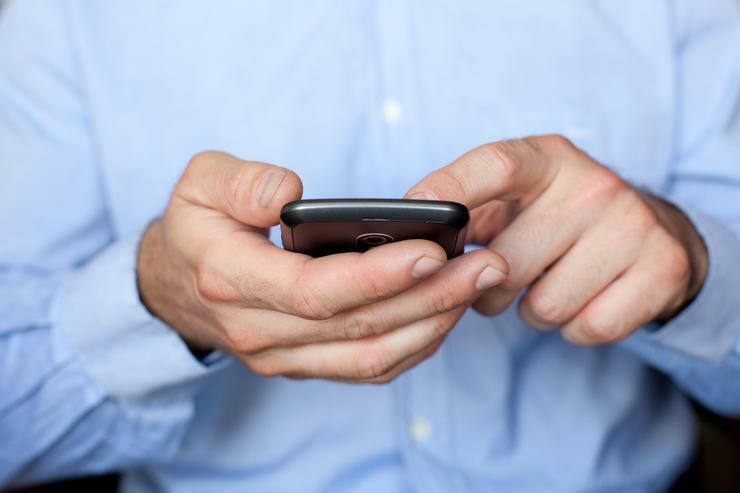 Mexico and Canada’s rates are discounted at two cents per text and six cents per minute of voice calling. You can’t buy phones through Mint SIM currently, so you must bring your own device or purchase a compatible unlocked phone elsewhere. Owned by TracFone, Net10 offers connections on all four networks depending on your preferences. For $35 per month you can get unlimited talk, text, and 2GB of data. If you opt for autopay (“auto-refills”), you can get a credit that ranges between $4 and $5 on your monthly bill. The MVNO also supports domestic roaming with no extra charges; however, if over 50 percent of your usage includes roaming, the carrier may cancel your service. Net10 doesn’t offer any international roaming. Net10 allows BYOD as most carriers do, and also sells a selection of compatible phones with 24-month financing available on select phones through Net10’s SmartPay offering. Page Plus Cellular—which like Net10 and Straight Talk is owned by Tracfone—is a very basic MVNO that provides monthly plans and pay-as-you-go minutes. It’s best as an option for people still using a feature phone: Pay-as-you-go credit lasts for 120 days, and rolls over so long as you renew within that four-month window. 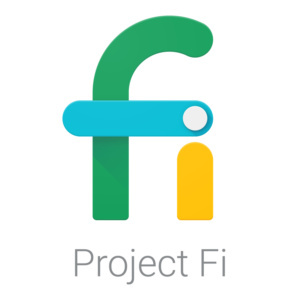 Project Fi is Google’s Wi-Fi-centric smartphone service. The idea is that you’ll use mainly Wi-Fi networks for connectivity and only rely on supported carriers when Wi-Fi isn’t available. Your phone is designed to switch seamlessly between all the various cellular networks as well as open Wi-Fi hotspots. Project Fi’s mobile data pricing reflects its focus on Wi-Fi. You pay $20 for unlimited talk and text, but data is priced at a flat rate of $10 per gigabyte. Any unused data is credited back to your account. Project Fi does offer domestic roaming when necessary at no charge. International roaming is available in more than 135 countries, but additional charges apply for non-Wi-Fi–based voice calls. You can check out the details of Project Fi’s international roaming rates on its site. If you already own one of these phones, you are welcome to bring your own device. Otherwise, Project Fi sells the devices directly for the upfront sale price or with 24-month financing. Red Pocket is another MVNO that lets you choose your service from all four of the major carriers. The company’s plans start at $5, but you need to spend at least $15 for a good amount of data—1GB versus the $5 plan’s 500MB. Red Pocket doesn’t offer roaming despite having agreements with all four carriers, and it also doesn’t offer international roaming. However, this MVNO does have the nice perk of free international calls to 72 countries. Note that existing Verizon customers on an LTE plan can’t directly port their phone line to the same network through Red Pocket. Verizon subscribers using a 3G device are allowed to do so, however. If you end up liking Red Pocket, you can obtain discounted service in one-year increments through the company’s eBay store. 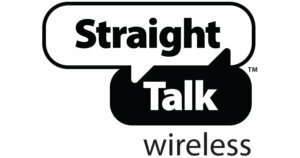 Another Tracfone-owned MVNO, Straight Talk offers service on all four of the major networks. The pricing is pretty good, especially for big data users. For $45 a month, you can get unlimited talk and text, plus 10GB of data. The downside is that if you actually use up those 10GB, your speeds are reduced to 2G. You can get a slight discount on plans if you sign up for auto-refills. Oddly, Straight Talk doesn’t offer domestic roaming, even though you can get service with any of the four major carriers. International roaming is also not supported. As for phones, Straight Talk sells a wide variety of devices. The more expensive ones are available for full-price purchase or financing via SmartPay (with or without a credit check). The no-credit check financing options are very expensive. In fact, you’ll end up paying double or higher the purchase price of the phone. If you “need” the no-credit check option, you’re better off saving your money to pay full price, or buying a gently used phone. 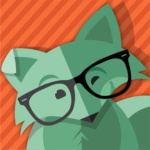 Tello lets you build your own plan, which includes options for no-data or data-only. All texting is free on Tello. For a basic user plan that includes 100 voice minutes, unlimited texts, and 1GB of data, you’ll pay $15 on Tello. The service allows tethering at no extra charge, and it also offers free calls to Canada, Mexico, and China in addition to the U.S. If monthly plans are more than you need, Tello offers service on a pay-as-you-go basis, too. For the U.S., the rate is 3 cents per minute, 1 cent per text, and 2 cents per MB of data. Rates for calls and texts made to international numbers vary. Unlike most pay-as-you-go providers, Tello doesn’t require regular purchases of credit to keep your line active—just use of the service at least once every 90 days. One downside is that Tello doesn’t offer any domestic or international roaming. Wi-Fi calling is available for international travelers, however, using the My Tello app for Android and iOS. Tello says any CDMA device should work on its network, but you also can also choose to buy a phone through the company. Tello offers both new and refurbished devices on its site, though the new phones aren’t sold directly by Tello. Instead, the store redirects you to the phone manufacturer’s storefront.